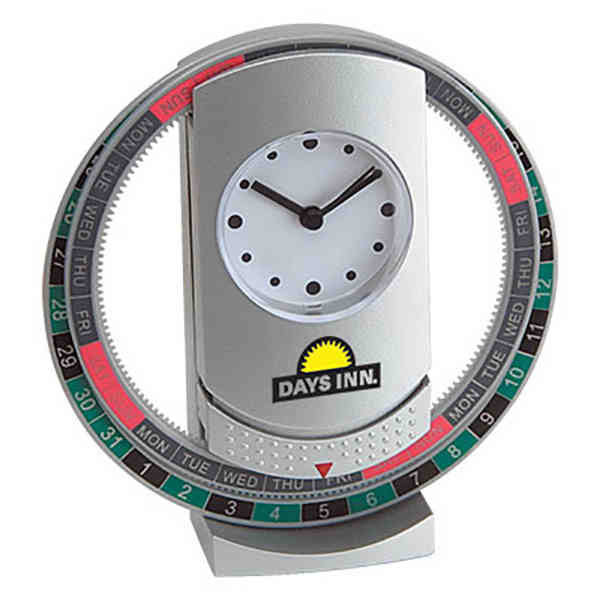 Imprint Method: Unimprinted - Make your brand visible with every hour that passes with this revolving calendar clock! It's a desktop item with an analog face featuring a second hand. The days and numbered dates are synchronized for accuracy. People can see just how this works as soon as they get it because it comes included with one AA battery. Imprint this with your company name or logo and make an impression with your business on a daily basis! Dallas. Size: 4 3/4 " x 4 3/8 " x 1 1/2 "
Imprint Size:1/2" x 1 3/8"